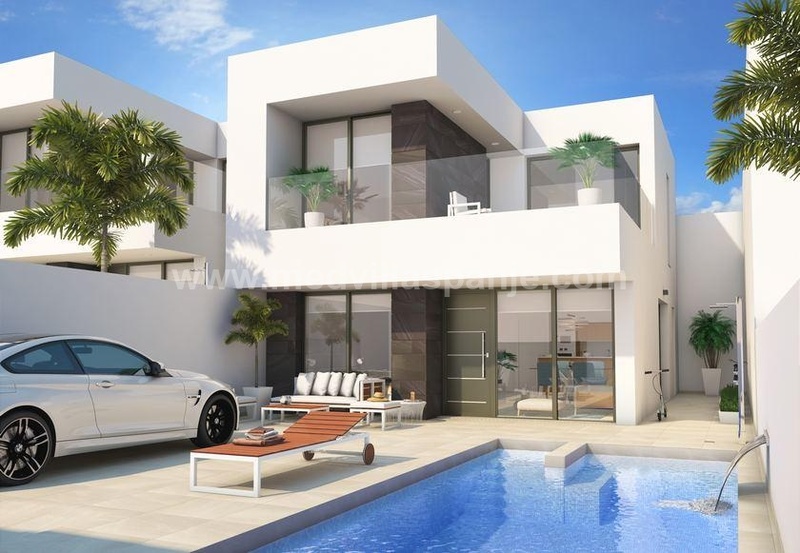 Key ready - Semi-detached villa in Gran Alacant, Costa Blanca South Spain. You have the option of choosing the internal distribution and materials. It offers the possibility to choose, without additional cost, the distribution of the house. It can have 2, 3 or 4 bedrooms. The villa has the possibility to incluede a private pool, terrace and frontal porch. removable energy system with heater aero thermal.